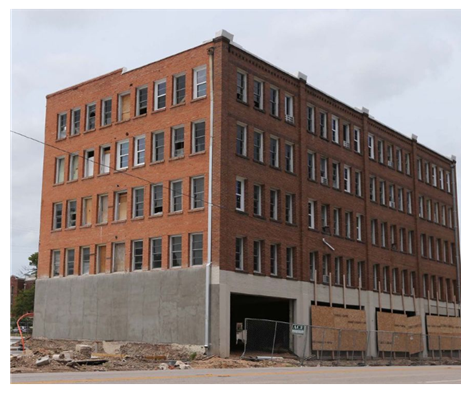 ​​​ WACO – The aging Austin Arms apartment complex at 13th St. and Austin Ave., designated a historic landmark by the Waco City Council, is being renovated by brothers Shane and Cody Turner of Lucra Real Estate​. The vacant five-story, 44-unit property should be completed by spring 2018. The L-shaped building, which affords an impressive view of downtown Waco, McLane Stadium and Baylor University, had balconies that overlooked a courtyard that the Turners have indicated they will landscape.